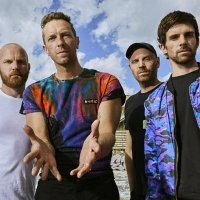 After teasing us with huge festival shows, a couple of singles and several album announcements, Chris Martin and co continue the hype with the announcement of three UK shows in support of upcoming album, "Mylo Xyloto". The shows take in several European cities, kicking off with Glasgow's SECC on 3rd December, then Manchester's MEN Arena on the 4th and London's O2 Arena on the 9th. Tickets are on general sale from Friday onwards at 9.30am, priced at £47.50, £55 or £65 for all three venues. It doesn't take a genius to figure out that this trio of shows will sell out faster than I can type, although there is room for additional shows to be added, or even additional locations (Dublin, Cardiff, Belfast, eh lads?). They will then continue across Northern Europe for shows in France, Germany, Holland and Belgium. The new 14-track album will be released on 24th October and marks their fifth studio-album. It follows up 2005's "X&Y" and 2008's "Viva La Vida or Death and All His Friends", both of which topped the album charts in no less than 11 countries. New single "Paradise", is available now. See you on Friday morning! Face value tickets now sold out! Unsurprisingly, tickets for the initial three UK arena dates (London, Glasgow and Manchester) sold-out in minutes. We'll of course keep you posted with any new dates.